The safety and security of your Brighton home is something you should never take for granted and our experts at Electrics on Tap are available to make sure that you never have to. We can help secure your property with a host of devices with different capabilities. We have available devices that can fully secure your home and ensure no one but a person with authorised access can enter. 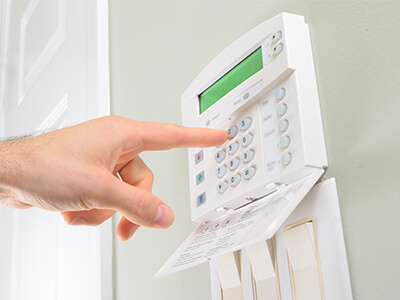 We can also install devices that are capable of alerting you as well as the proper authorities in the event of a security breach or any other danger to your home. If you are unsure what safety and security measure will be best for your home, you need not worry because help is just a phone call away. By contacting us, we can provide you expert advice concerning what security systems we can install to best ensure the safety of your loved ones and belongings. Call us today on 01273 723 600. Many Brighton homes make use of security alarms to secure their premises. This particular security system functions by alerting you and/or the proper authorities in the event of a security breach. We can provide you either a state of the art wireless or wired security alarm system. Our wireless systems are designed in such a manner that you can access and control them from anywhere in the world. Which means no matter how far away you are from home, your property’s security still rests in your hands. Door entry systems provided by our firm ensure only people who you have granted access to your home can enter your property. With this product installed by our experts, your home’s doors are guarded against forced or unauthorised entry regardless if you are on the premises or not. Our services don’t protect your property from only criminal elements and trespassers but also from accidents. The highly efficient smoke detectors that we have available for installation are capable of detecting a fire before it can blossom into an inferno. 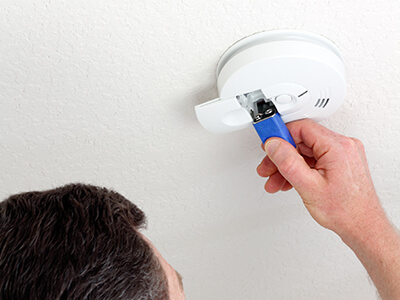 If you prefer, we can configure an installed smoke detector to either alert you in the event of a fire incident or to alert both you and the proper authorities. This product is capable of detecting unusually high temperatures which is an indicator of a starting fire. We can help install all this and more to help protect your home. Contact us for a Free Quote today. Our safety and security services are delivered quickly and efficiently by highly trained experts at highly competitive prices. We guarantee the safety of our clients and their homes by installing only devices from reliable market leading brands. 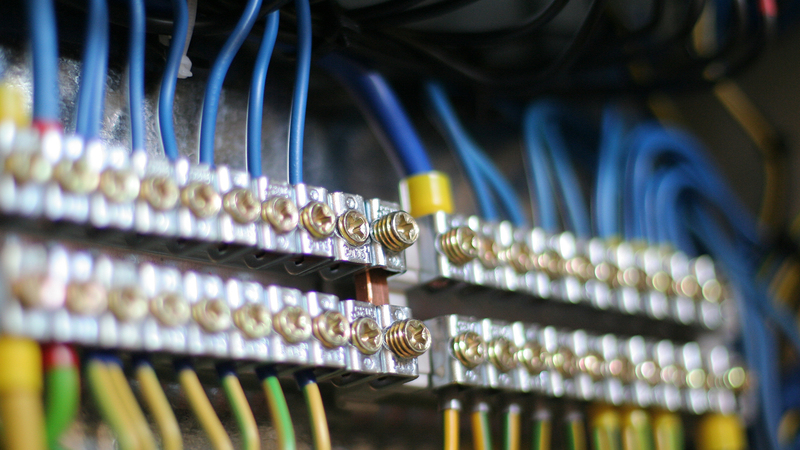 If you are in Brighton and would like to have your property secured by technicians you can rely on for superior quality results, contact Electrics on Tap today on 01273 723 600. Electrics On Tap is proud to offer Safety and Security services in the town of Brighton, which lies within South East England in the county of East Sussex. Electrics On Tap’s Safety and Security service area like-wise encompasses Moulsecoomb, Hollingbury, Hollingdean, Hove and Mile Oak in the City of Brighton and Hove. Last in order but nevertheless important, Electrics On Tap’s Safety and Security services cover the Brighton Municipality including Brighton Marina, Stanmer and Bear Road area.